Rent Meson Sabika | Corporate Events | Wedding Locations, Event Spaces and Party Venues. The Willoway Mansion was built in 1847 and sits on a pristine four-acre estate near downtown Naperville. After a meticulous renovation that brought back the mansion’s original charm as well as added modern conveniences to the restaurant, Mesón Sabika opened its doors in 1990. The Mansion offers eight elegantly decorated dining rooms, featuring oak beams, lace curtains and hand-painted murals that call to mind the romance of a far away European villa. You can reserve the first or second floor for an intimate wedding experience. The entire mansion is also available for select dates and times. The Pavilion at Meson Sabika is a fully enclosed option for your wedding, with the feel of an outdoor pavilion. The lushly landscaped grounds are fully visible from the towering windows that make up three sides of the venue. After being greeted by an ethereal cloud ceiling in the foyer, you will enter the main room where 11 cut crystal chandeliers grace the ceiling elegantly dressed with creamy sheer fabric. The Georgian-style Mansion was built in 1847. 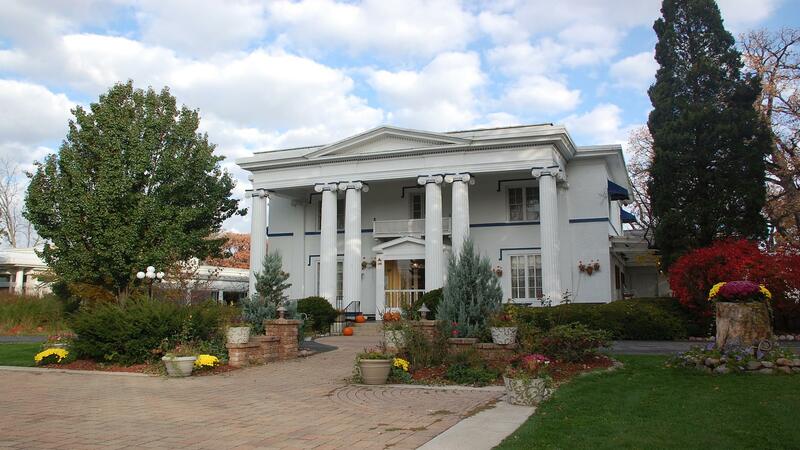 It is now known as the restaurant Meson Sabika that specializes in Spanish cuisine. The mansion houses eight dining rooms, all of which are available for private parties. Each dining room has its own individual style and ambiance from the Victorian romance to a Spanish courtyard garden. On Saturdays the restaurant is closed for lunch, however, we will open for private parties with a pre-set luncheon menu in the rooms on the second floor of the restaurant. On Sundays the restaurant is open for a Sunday brunch buffet. The rooms on the main floor are reserved for regular dining guests and private parties choosing the buffet for their party menu. The rooms on the second floor may be reserved for parties using the pre-set luncheon menus.